A great market is not a great market without great vendors! That is why we place a high value on them, and why we’ve chosen to make this site available for them to. Filter through the available vendors below, call them up directly, and from there we wish you a great working relationship into the future! If you are a stallholder and wish to list with us, please click here We’ve also got some interesting articles on our blog about how to build your small business via market. This should interest vendors. Click here to read them. Browse amongst our Kwazulu Natal stallholders to find one that’s just right for your market or event! Feel free to contact them directly. Browse amongst our Gauteng stallholders to find one that’s just right for your market or event! Feel free to contact them directly. 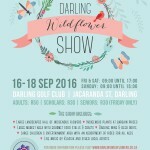 Browse amongst out Western Cape stallholders to fid one that’s just right for your market or event! Feel free to contact them directly. Browse amongst out Mpumalanga stallholders to fid one that’s just right for your market or event! Feel free to contact them directly.